A heavy duty adjustable lighting stand. It is of metal construction with heavy duty metal collar, uses Tommy wheels and steel pins for locking height adjustment. 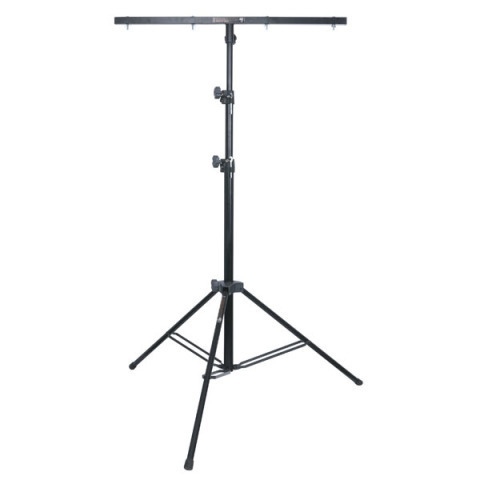 This lighting stand comes complete with a 1200 x 30 x 30mm square section metal pre-drilled T-Bar. It is an ideal stand for PAR cans, Projectors and Scanners.